Cake, Cake and More Cake! Mitchel’s Cakes and Cake Expectations to provides cupcakes for The Princess Ball! This is the most delicious news we’ve shared to date! Mitchel’s Cake and Dessert Company, a custom cake company in Whitby, has agreed to provide 200 mini cupcakes for our littlest guests at The Princess Ball! Not to be outdone, Cake Expectations, a full service custom cake company in Ajax, has generously agreed to supply 100 full size cupcakes for the adults! 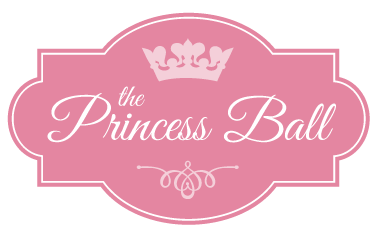 Thank you for supporting The Princess Ball and Make A Wish Foundation of Canada! It’s c-c-c-cold outside! But all this snow and ice can’t put a damper on The Princess Ball. Behind the scenes, we’ve spent the winter busily making plans, carefully storing silent auction goodies, sampling cupcakes (YUM!) and putting the finishing touches on our plans for an amazing afternoon. We have SO much in store for you that we can’t wait til the day to share it. And so, we invite you to share in our fun news with us: Online! We have SO much cool stuff to talk about, we’re bursting! We’ll talk about our special guests, our amazing partners, some of our crazy-cool silent auction items and – AND – we’ll be announcing our Grand Prize! That’s right, at The Princess Ball we’ll be selling raffle tickets to give you a chance to win something totally mindblowing. We’ll give you an exclusive chance to get an extra raffle entry at the Princess Ball during the twitter party, so you definitely do not want to miss this. What’s that? You couldn’t get a ticket to The Princess Ball, because we sold out so crazy fast? Well, we’ve got good news for you: at the Twitter Party, we’ve got two tickets up for grabs! That’s right, my friends. Just sign up below with your Twitter handle and your Twitter URL “www.twitter.com/yourtwitterhandle” in the link field, and let us know that you will be online, on Twitter, on Wednesday, March 19th at 8 pm EST. Then when the time comes, just get on and follow the hashtag #PrincessBallTO to join in on the fun. We can’t wait! See you there? Delicious! 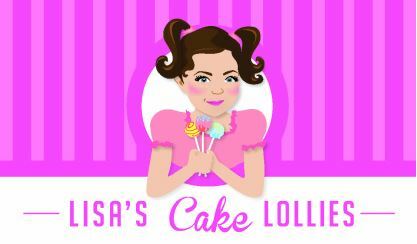 Lisa’s Cake Lollies will be providing each of our guests with one of her custom, handmade cake lollies! But if you can’t wait until then, make sure you visit www.Facebook.com/LisasCakeLollies or www.lisascakelollies.com to order her one-of-a-kind cake lolly creations.